Charity shops and books are all too often a depressing combination. Tucked away in a corner, generally beyond the sherry glasses, 70s tea sets, brass holiday souvenirs and other unloved chintz, charity shop books are rather too frequently a sorry collection of tatty romances, outdated coffee table tomes and yesterday’s airport bestsellers. With one very notable exception – Oxfam. For a charity with its origins in Oxford, it’s not surprising that since 1987 Oxfam has run a fine establishment in Oxford’s St Giles, a little away from the busiest parts (handily close both to the Eagle and Child and Lamb and Flag public houses…) but well worth the walk. 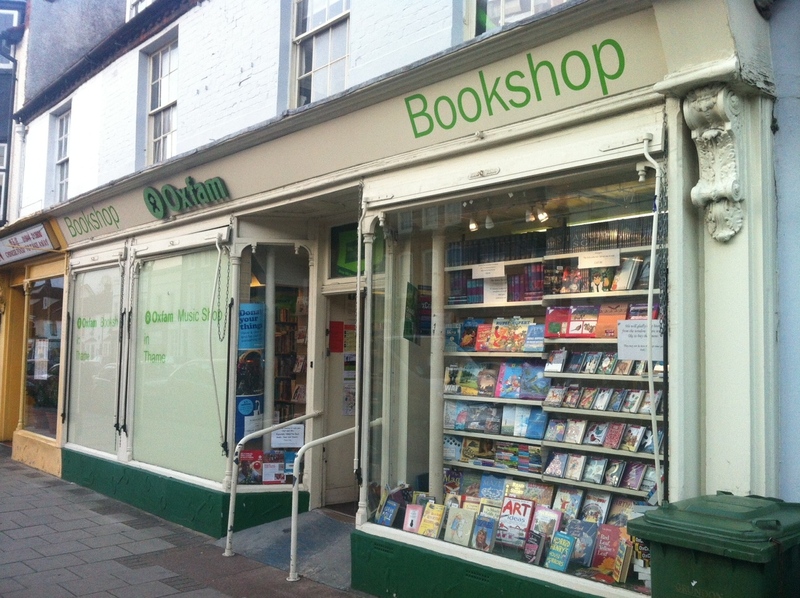 And, for almost twenty years, Oxfam’s presence as a major seller of secondhand books across the UK has steadily grown. Indeed, it has claims to being the largest such seller in Europe, and over one hundred of the charity’s shops are now dedicated to selling books, alongside a growing online business. Aylesbury’s little Oxfam bookshop is typical as it aims to cast off the musty image of the second hand trade. It’s brightly lit, brightly painted and bright in ambience. And it’s well worth checking out, if nothing else – after all this is a town with three pound shops – for the bargains to be snapped up. First and foremost, students ought to regularly pop in when in town. 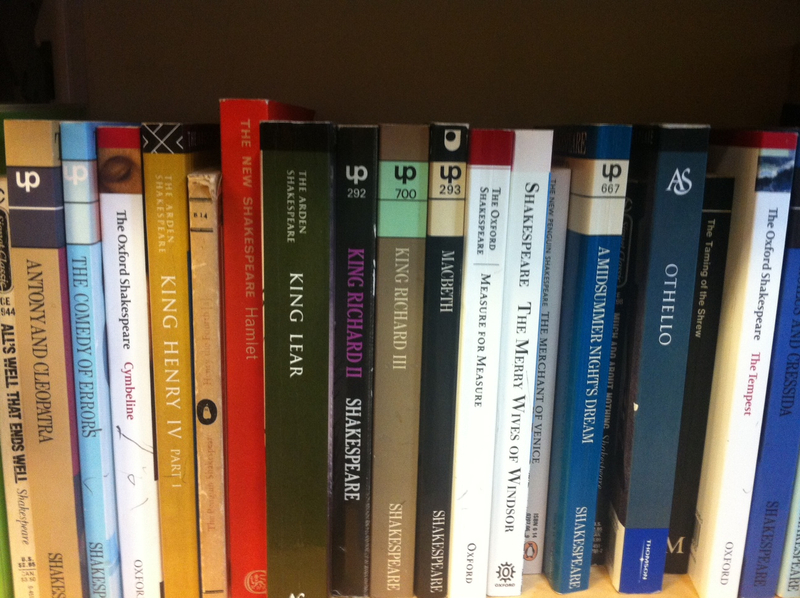 Here is a shop well stocked with contemporary fiction – both bestsellers and more literary stuff – a range of poetry, a smattering of plays and some interesting literary biographies and criticism. More to the point, from time to time, there are really useful things. A couple of months ago, I noticed on its shelves the work no student of English Literature should be without: The Shorter Oxford English Dictionary, two volumes of historical definitions and containing virtually every word you’ll ever encounter. For the general reader, however, there is plenty to inspire, particularly when it comes to non-fiction. History, especially popular history like military and transport history – is well represented, and there is a fairly up to date cookery section (think Jamie Oliver’s book from two years ago… you get my drift). Gardening, travel, maps, education, business, religion – there’s something for all tastes, along with greetings cards, vinyl records and DVDs. Quite fairly, the prices aren’t always ‘give away’. Don’t expect to pay much less than second hand on Amazon or similar; Oxfam rightly states that it has a responsibility to seek maximum value for the books the public donate, and, when the cause is right, it’s hard to argue. But for an even better selection, head down the A418 to Thame. Like the Aylesbury branch, this Oxfam bookshop is also unable to shake off that slightly pungent aroma of ageing paperbacks, but don’t let that deter you. It’s the window display which intrigues. Topical, eye catching and often changing with the season, whoever is responsible spends a lot of time working on it. In one corner, near the window, is a selection of travel books so enticing it’s an effort of the will to leave without purchasing. I once almost found myself buying – quite unnecessarily – an awful lot of old Ordnance Survey maps of places I knew well. And browsing for that little bit too long – you know, until the moment when you think the staff are going to start looking at you slightly oddly – is a real risk here, especially when it comes to local history and things like Pesvner architectural guides. Hardback and paperback fiction, poetry, drama, science, history, theology, gardening, biographies, geography, fauna and flora, health, film, theatre, business, photography, education – it’s all here. The staff are helpful and on a recent visit – hunting for a copy of Webster’s White Devil – a friendly volunteer offered to search the stockroom as well. 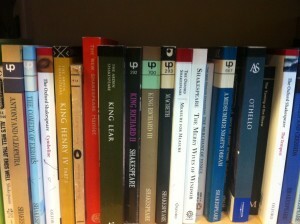 Unfortunately, a copy was not to be had, but it’s hardly the most studied of plays. Of course, the shops depend very much on the donations made by the public, and there have been some exceptionally generous gifts of rare and collectable books, sometimes anonymously. How this benefits the world’s poor, it’s difficult to know where to begin, but the chain raised over £20 million last year towards Oxfam’s colossal £270 million work which benefited over 11 million people last year. Long term projects work with local people to transform communities across the world. At the highest level, the charity is a powerful voice in campaigning for a fairer world. At any one time, Oxfam is working in 25 different emergency zones. Indeed, as Oxfam say, ‘when emergency strikes, Oxfam is there’ and 6 million victims of disaster were helped. With stats like that, shops like those in Aylesbury and Thame deserve our support.